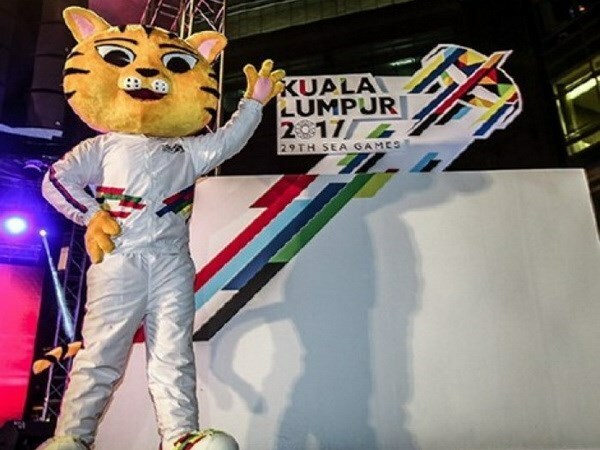 Kuala Lumpur (VNA) – The opening ceremony of the 29th Southeast Asian (SEA) Games which will take place in Malaysia’s capital city of Kuala Lumpur on August 19, is set to mesmerise spectators with many surprise elements in store. The ceremony will honour past sporting heroes and legends to recognize their contribution to sport development in Malaysia and Southeast Asia, said Youth and Sports Minister YB Brig Gen Khairy Jamaluddin. A mix of cultural music and dance of all countries in the region will be held, he added, saying this is a journey not only about Malaysia, but something that the rest of the region can appreciate. The highlight of the event will be the cauldron lighting, which aims to celebrate the past, present and future, said the Malaysian official. The ceremony will start at 8pm (local time) at the Bukit Jalil National Stadium and it will be broadcast live. Security personnel are also mobilised to ensure safety. Meanwhile, tickets for the opening ceremony have been sold out. As many as 85,000 spectators are expected to attend the ceremony. People are encouraged to be at the venue early and take public transportation. Minister Khairy Jamaluddin said roads leading to the Bukit Jalil stadium will be restricted on the day of the event while the stadium will open early at 4pm. Running time of Kuala Lumpur metro and shuttle bus from seven locations of the city will be extended. A discount of 50 percent will be given to people taking bus to venues of the 29 SEA Games.